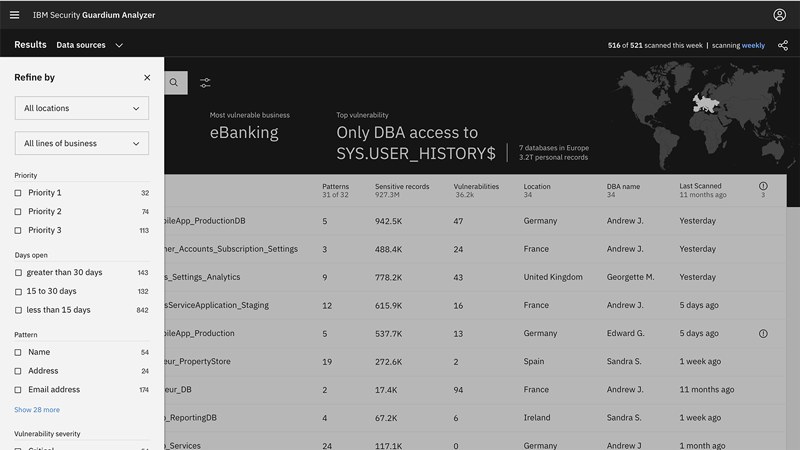 This software-as-a-service offering helps you efficiently identify risk associated with personal and sensitive personal data (PII, PHI, PCI, etc.) that falls under regulations such as the E.U.’s GDPR, PCI DSS, HIPAA and other privacy mandates. 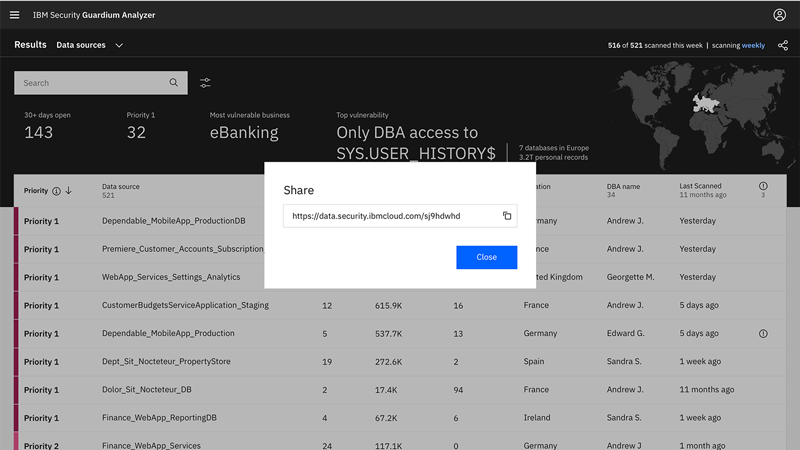 The service applies next-generation data classification, as well as vulnerability scanning, to uncover privacy risks associated with such data in cloud-based and on-prem databases. It then applies risk scoring to the classification and scanning results to identify and prioritize the databases that may be most likely to fail audit, so you can act to minimize your risk. This software-as-a-service offering helps you get started immediately with a guided setup process. 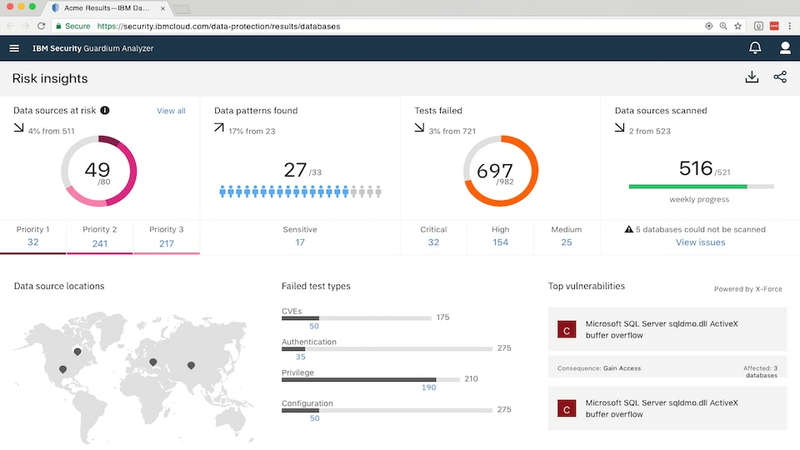 Specifically designed to help identify regulated data risks, this service analyzes on-premises and cloud databases to find and present users with prioritized risk information. 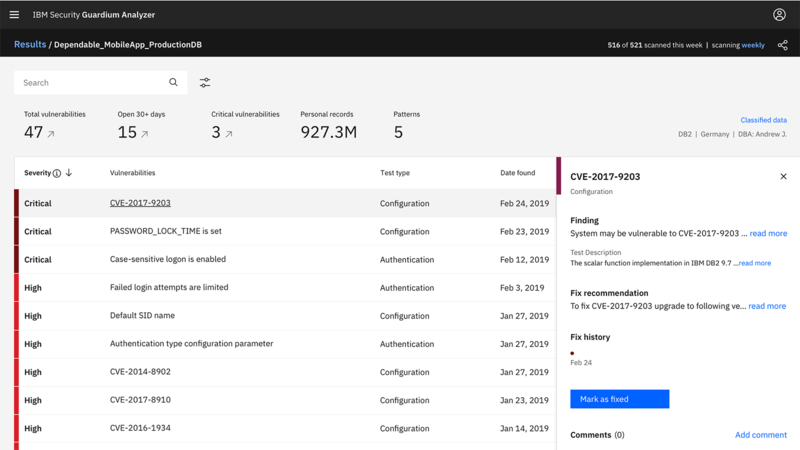 A next-generation classification engine, which also powers IBM Watson offerings, searches data inside cloud and on-premises database tables, and vulnerability scanning uncovers current threats. 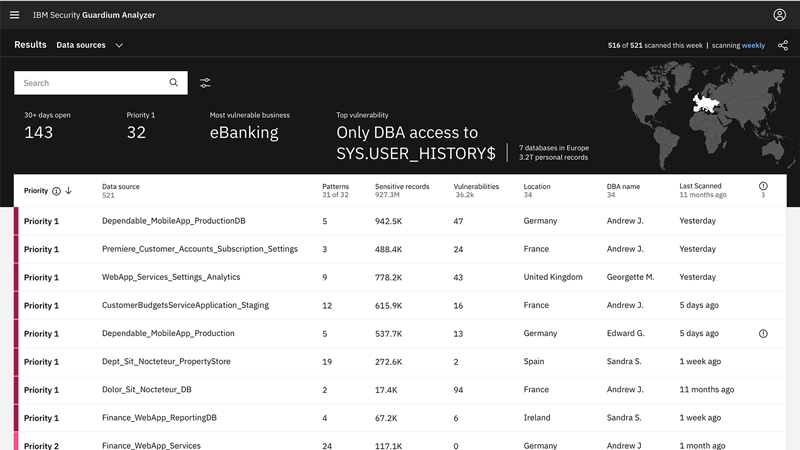 Pre-built functionality and dynamic dashboards surface data exposures, providing information such as: number of databases affected, severity breakdown, geographic breakdown. This service combines the data classification and vulnerability scanning results to provide risk scoring and prioritization information so you can efficiently take focused steps to minimize risk. Helps compliance managers, data managers and IT managers get the information they need, at the right level of detail, to collaborate efficiently. 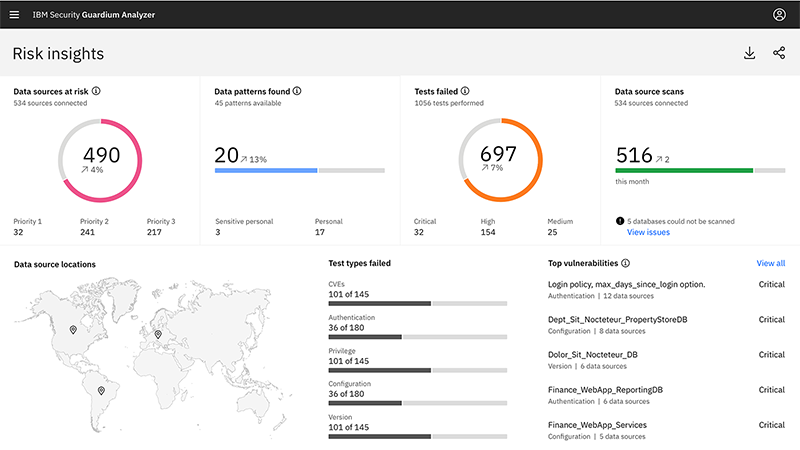 Try this free trial to see how Guardium Analyzer can help you find regulated data, assess vulnerabilities and risks, and take action. With the Standard Plan, pay per scan as the service helps you find regulated data, assess vulnerabilities and risks, and take action. 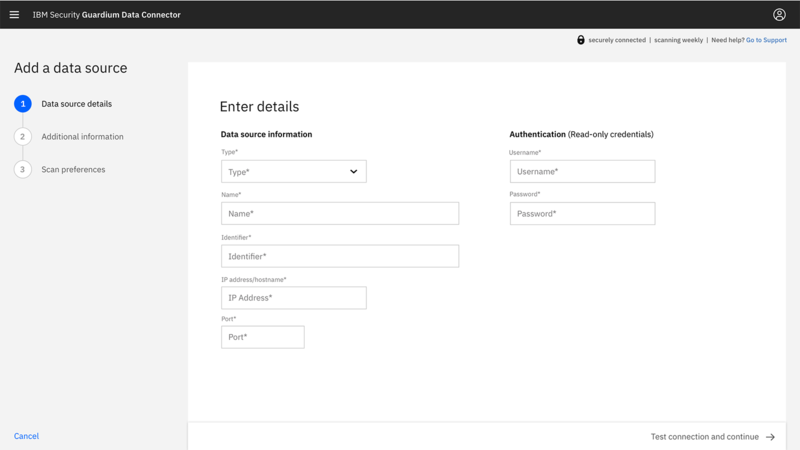 With the Professional Plan, pay per database connection to help you find regulated data, assess vulnerabilities and risks, and take action.